Det norske seismikkselskapet SeaBird må ikke ta del i oljeletingen for den marokkanske regjeringen i okkuperte Vest-Sahara, skriver Vest-Saharas eksilregjering i et brev til selskapet. Nedenfor er brevet som ble sendt fra Vest-Saharas eksilregjering til norske seismikkselskapet SeaBird og som er gjengitt i Dagbladet 9. desember 2014. The Saharawi people and their government have the privilege to express their compliments to you. We regret this letter does not come under more auspicious circumstances. Our purpose in writing is to protest petroleum exploration currently being done by Seabird Exploration on the continental shelf of occupied Western Sahara, and to insist on an immediate end to the activity. A Seabird Exploration Group vessel, the Harrier Explorer, began such exploratory work last week. A seismic survey of the continental shelf is being carried out approximately 25 nautical miles off the Atlantic coast of Western Sahara, at 27.35° N, 14.45° W and will apparently continue over a 20 day period until 2,000 kilometres of linear track data is acquired. In this letter, we detail the reasons why such petroleum exploration must necessarily end. The Saharawi people do not consent the development and export of their natural resources from the occupied part of their territory. We manifestly do not receive the benefit of such resources, the revenues from which go to sustain an occupation that has brought with it the illegal in-migration – a settlement contrary to the Fourth Geneva Convention 1949 – of Moroccan nationals. The government of the Saharawi Arab Democratic Republic (the SADR) has considered the present activity in the context of the continuing occupation of Western Sahara by Morocco. Exploration for petroleum in the territory is illegal because it violates our people’s right of sovereignty to their natural resources. The exercise of the right is an important part of our self-determination. We are also concerned that the present seismic surveys will involve the use of so-called air guns, which may be damaging to the important coastal fishery of an area squarely in the Canary Current Large Marine Ecosystem, Africa’s most productive fishery. We know of no environmental impact assessment prepared for the present exploration activity. 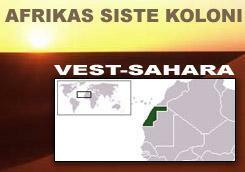 Western Sahara, formerly Spanish Sahara, is often referred to as Africa’s last colony. Spain abandoned the territory in late 1975 to Mauritania and Morocco. On 27 February 1976 the Saharawi people’s representatives declared the SADR to be independent, a state recognized by more than 80 others, and a member of the African Union. In 1979 when the SADR and Mauritania concluded a peace treaty, Morocco then took more of Western Sahara, about three-quarters of the territory. Morocco’s occupation of Western Sahara was illegitimate from the start, violating the United Nations Charter and the law of self-determination for colonized (non-self-governing) peoples, together with the law prohibiting aggression now found in the Rome Statute of the International Criminal Court. The cases of East Timor, Namibia and Kuwait demonstrate this illegality. The United Nations General Assembly has declared the occupation to be one as such. No state recognizes Morocco’s claim to Western Sahara. Morocco’s occupation of Western Sahara is notorious for its brutality and absence of third party human rights monitoring, with proven violations of the leading international human rights and humanitarian law treaties. The Saharawi people in refugee camps in Algeria receive no benefit from the trade in natural resources in the occupied territory and are dependent on aid to survive in one of the most inhospitable settings on earth. In May 2012 such problems were highlighted to the UN Human Rights Council during its “Universal Periodic Review” of Morocco’s human rights performance. The illegal occupation of Western Sahara is legitimized by individuals and corporations who deal with Morocco for the territory’s resources. The conflict over Western Sahara is prolonged, and the Saharawi people denied their economic future, by exploration and development of our natural resources. The government of the SADR is grateful for your consideration of this matter and is confident Seabird Exploration will accept that it should not be engaged in any aspect of seabed petroleum exploration on the coast of Western Sahara. We would be grateful if circulate the text of the present letter to the members of the Board and also to your shareholders. Chairman Board of Directors, SeaBird Exploration. Personal Envoy of the Secretary-General of the United Nations for Western Sahara.